Which AV Manufacturers and Distributors Provide the Best Customer Training and Support? Every time you drop a dollar bill into the jar on the counter, you form a tacit agreement with your barista: "To Insure Proper Service" (TIPS). According to one account from cultural mythology, that acronym originated in the 1930s, when American consumers left tips on the table before the meal started. Today we expect proper service, and we leave a tip after we've received appropriate treatment. But how do you insure proper service when there are no tips involved? As the AV industry continues to shift and evolve, service has become increasingly important. With similar goods available from numerous vendors, the differentiating factors lie in the sales, shipping, training, service, and support transactions around the specification and acquisition of equipment. 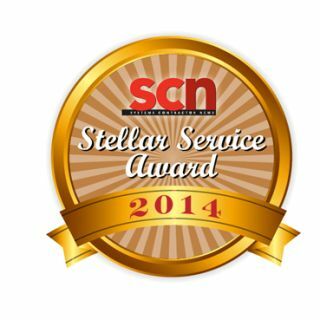 SCN is launching its Stellar Service Awards to recognize the manufacturers and distributors that go above and beyond with their customer programs. From this year forward, we will salute the businesses that elevate their interactions to a higher degree of satisfaction. Our panel of integrator and consultant judges evaluated who was most likely to insure proper service, and chose our inaugural winners from entries submitted by manufacturers and distributors. Here is our first class of SCN Stellar Service Award winners. You can look to these companies for top-notch treatment.